As each of us is learning, doing, and becoming, it’s important to ask ourselves uplifting, focused questions and then seriously think about them during the pockets of quiet time in our lives. Today I have two suggested questions that have made a big difference for me, and I hope they’ll help you, as well! Question #1: What have my experiences most prepared me to offer to the world? Question #2: Who needs me to support them with my whole heart today? I have some supporting ideas to go along with these questions, so let’s go ahead and dive in! And I know it might sound a little strange that I care so much, but as I have been talking about the 25,000 STEP Command Centrals we want to build, I’ve been receiving some beautiful emails, and my vision for what this can become seems more clear and exciting than ever before. I just listened to your podcast about your struggle with whether you should do more than just focusing on your STEP Command Central (episode 45 from March 13th). I’m here to say that I haven’t even gotten to do that yet — I will be one of your 25,000. On a Friday night recently, while my kids and husband were away for a few hours (that never happens!! ), I settled in and did what I had been yearning (seriously, craving!) to do for years now. I listened to your Clean a Drawer podcast while I organized my bathroom cabinet. If anyone thinks, “How could one command central change a life?”, I’m telling you this one cabinet being clean is changing my life. It was a mess. I have two boys – 4.5 and 2.5. I am an overwhelmed, tired mom who works outside the home full time and struggles with anxiety and depression. This year I have committed to putting my needs higher on the priority list. Clearing the space around me clears my head and I’ve always LOVED planning and organizing. In fact, that’s what I do at work. But my personal spaces at home are what get the least amount of attention and when I see them every day, it completely stresses me out! This was one of those spaces. One small step to change my mornings and evenings; one giant leap towards changing my life! I can’t wait to keep the momentum going and start my command central! I can’t even tell you how much I loved that. Beautiful emails like that one, in addition to the photos of the Command Centrals that are popping up in our Facebook group and in our email thrills me–but not because I’m trying to be a rock star or anything. It’s because I love what is happening inside YOU. All right, so going back to question #1. Let’s think about this: What have my experiences most prepared me to offer to the world? Back in 2009, I had a series of surgeries and had to spend months in bed. It’s hard for me to even talk about those months because there was so much pain and embarrassment attached to those experiences. But now that it’s been 10 years, I feel like I can at least share a few of the details. Essentially, I was living in a situation where it took me about an hour a day to use the restroom, and I had severe pain (in ways you don’t typically talk about in public) for about 20 or 30 hours a week. We didn’t go on many vacations or do any Pinterest-worthy crafts–or take many beautiful photos–during that time. I was in total survival mode and often wondered if I would EVER feel relief. Lesson #1: You can have precious, instructive, beautiful experiences with your Higher Power in the most miserable circumstances of your life. Lesson #2: When you’re working with limited energy, sometimes it’s easier to gain clarity on which dreams of yours really matter. Regarding Lesson #1, I’ll just share one quick story that makes me smile every time I think about it. It was exactly what I needed to hear. Not only did it confirm that God loved me and would help me, but it reminded me that He totally understood my situation AND could help me see the humor in the whole thing–in such an awesome way. That was just one tiny example of the support I received. For as hard as that time of my life was, when I think back on it, I mostly remember light and love. Now take a moment to consider this for your own life. Your experiences have strengthened you, taught you valuable lessons, and prepared you to lift someone else. Which of your skills and abilities is most needed by the world? How could you offer that to others–even just starting in a very small way? All right, let’s move onto the second question we’re pondering this week: Who needs me to support them with my whole heart today? 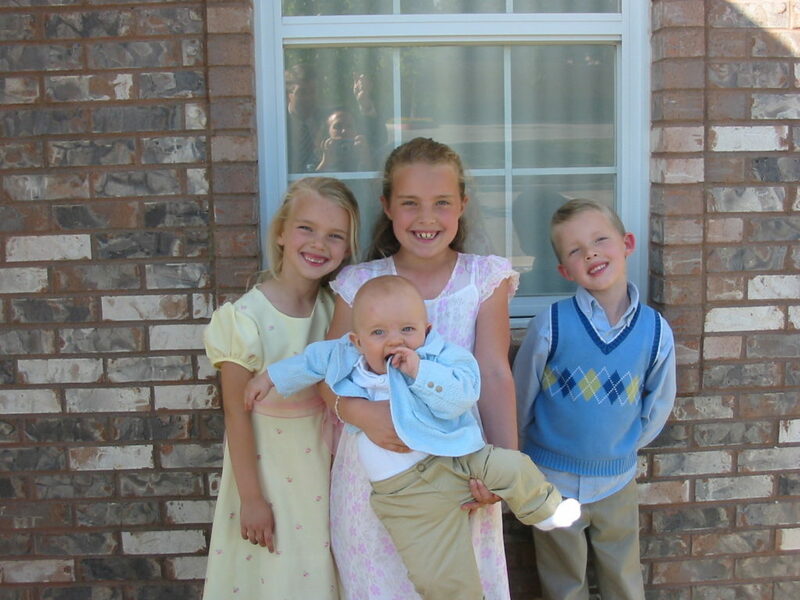 Many years ago, one of my older sisters spent months studying for the CPA exam–taking and retaking it several times. On one of her most important test days, when she had to pass or start the whole process again, an amazing thing happened. Laura responded, “Yes!” and then told her how she’d fixed the long problem. It’s that kind of love, thoughtfulness, and power that we need in our lives today. The reason I’m sharing all this is because I know that there are many in our LearnDoBecome community (or who are out there, but don’t yet know about our community) who are living in overwhelming circumstances. And most of the time, you don’t talk about it or tell anyone about the details because you don’t know if there’s a solution–that there is relief and hope available. There is a unique kind of power that comes into our lives when we’re living for others. That’s the kind of wife, mother, friend, and “person” I want to be. I’ve found that this community at LearnDoBecome is full of compassionate, hard-working, amazing individuals. And while all of us have challenges, sometimes just taking a moment to look outside ourselves and see if we can offer relief or hope in some way becomes a benefit to all parties involved! I hope that you have some great experiences as you ponder these questions, and I’d love to hear any of your thoughts or ideas in the comments. Thank you all for your support. 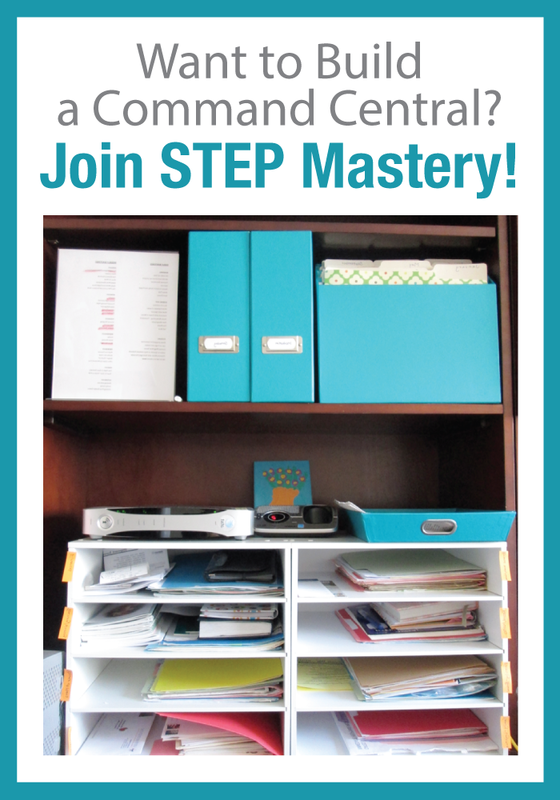 I am so excited about the 25,000 STEP Command Centrals we’re working towards. I haven’t even figured out the process of how we’re going to collect the photos or track the numbers, but the momentum is building, and I am incredibly grateful. More is coming. I wish you could see all my lists and brainstorms and feel the excitement that is happening behind the scenes here. But everything has to happen at a doable pace–because we’re not going for a “flash in the pan” of excitement. We are building a major, life-changing, powerful movement that will transform the world. And YOU are the reason for it all. And you have great things ahead. (3) If you already have your STEP Command Central in place, you can send us a photo right now, if you’d like, or just wait for us to set up the formal structure for all of this. We’ll announce it through our email, social media, the podcast, etc. (4) There are a lot of fun, helpful ideas being shared on social media. Click here for our Facebook page, click here for Instagram (or search @LearnDoBecome), and please connect with us there. (5) Finally, I just want you to know that this is about more than just “organizing a desk.” The reason I wanted to discuss these two questions today is because I believe that each of us have beautiful purposes for which we were created. People need us. It’s time for each of us to do what we were meant to do, and it means the world to have you here with us! Thank you for your emails. They go to my spam folder and I don’t see them, but this one I found. Since you asked, I will tell you I feel prepared to tell the world that you can be born radio-active and live a good life anyway. I guess I can number myself among the “down-winders” who were born at the height of the atomic tests in the 50’s. You can be born radio active and be totally mercury poisoned by ignorant dentists, complicit parents, eating a lot of tuna, etc., loose several IQ points, become a poor student with a poor memory, then detox this and get your brain back. There is hope for us poisoned people. We don’t have to stay that way. Thank you for asking. That’s what I would tell the world if I could. Sara, it takes a lot of bravery to keep going in the midst of challenges. Sending you a huge hug!! I just wanted to let you know your postcast touched me deeply and you “hit the nail on the head”; we all have our crosses to bear, but along with that we all have a purpose.. beautiful purposes as you put it for people that need us. It does wonders to take the focus off ourselves and do for others. There is definitely light in that; light over our own pain and suffering and light over those we help. Thank you April (and Eric, I know you greatly support and are a great partner of LearnDoBecome.. it’s bigger than a “program”, it about community and togetherness. thank you both! Beautifully expressed and just what I needed to hear. Your work is so important and so appreciated! Thank you, Cathleen! That means so much! Have a wonderful day! I look so forward to listening to your Podcasts. They always make me laugh,smile, reflect on life and so much more as well as learn how to have a command center. I appreciate you sharing your thoughts like you do and personal stories and I truly know you are helping to change many lives in more ways than you know. 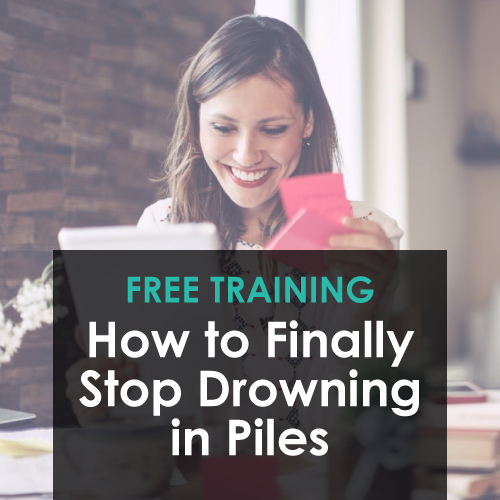 I love hearing how excited you are about organization and your passion for helping other people learn how to become organized as well. I must admit the idea of becoming organized on the outside and inside is a passion of mine and thanks to your system and Podcast I am on my way to becoming the kind of person I want to be and having the life I want to have. April, your podcast has changed my focus for my job! Working 3 random nights & every 3rd weekend as a nurse with depression & anxiety, I often dread the time I’m “missing out” with my family. Today’s questions help me re-frame my thoughts regarding my work. My experiences have prepared me to take care of sick neonates… The skills & my ability to take care of babies are truly a gift from God! When I go to work, I need to give my all to these babies & their families. Their parents look to me for support as do my co-workers. Today, I got up special to go to breakfast with my hubby so I can go to work tonight & not resent having to be away from home & potential “fun” activities. (Most likely lounging at home on this cloudy rainy day…) Thanks so much for this podcast! Kerri, you are doing SUCH an important work!! Our son Ethan was born at 30 weeks, and he was in the NICU for 6 weeks. Those nurses saved us. I was so exhausted and stressed, and their ability to care for my baby (and me!) with such confidence and calmness helped me more than I can express. Thank you for what you do!! Just coming back from donating a kidney 4 weeks ago and am exhausted. But there is no doubt in my mind it was the right thing to do, as God orchestrated the whole thing. I am a praying women, and I truly believe not only that there’s a God who loves us and has a plan for us – but also that he has a sense of humor. My recovery convinced me to simplify and start working towards a Command Central. I have been following LearnDoBecome for almost 2 years now, and I still haven’t quite gotten a grasp of a Command Central (and FOLLOWING-UP ON WORKING THE PROGRAM), but I am slowly working toward the peace of mind you say is possible! I listen to your podcasts and I read your emails, and I just want to say that even though I’m not REALLY working the program yet, I’m already inspired and already helped by you! I very much enjoy your insights on getting organized, and I agree wholeheartedly with your vision of helping our fellowmen in the ways that we are each specifically prepared to do! I just want to say THANK YOU FOR BEING WHO YOU ARE, FOR PUTTING YOURSELVES OUT THERE (YOUR REAL SELVES, WITHOUT ALL THE SUGAR-COATING), AND FOR HELPING THE WORLD IN THE WAY THAT ONLY YOU CAN! Thank you for allowing me to remain a part of your community even though I only paid for the initial STEP Program a couple years ago; I will purchase more in the future, I’m sure! I appreciate being part of your community, and I intend to remain your follower and your friend for many years to come! Tahne, your encouragement means SO much! It is exciting to know that you are out there, doing wonderful things, and working toward your goals. We are privileged to be a part of your life, and I’m so happy to have you as a virtual friend. I hope we get to meet someday!! Sending a huge hug! I wish I could adequately express my appreciation for you. Thrilled for you, Linda! Thank you for being here with us on this journey. There is so much good ahead for all of us. 🙂 Much love!!! I became connected with LearnDoBecome last summer when I was flat on my back from a back injury. I became a member, desperately wanting to bring order to my life, convinced it is my responsibility! Still struggling, very limited victories… but will make my Command Center a Reality! That is the kind of person you are, April. And many lives have and are being blessed because of it! Love all of this. You’re so sweet. Thank you, Andrea! And I just included Better Screen Time in the outro on our technology Power of Moms podcast (Audio Posts) going out next week! Excited about all the great work you are doing! This is the first podcast I have listened to. I joined the STEP program yesterday with great trepidation, wondering if I were just grasping at straws and being impulsive. I am desperate to change my habits and lifestyle and there was something in the sincerity you and Eric’s presentation that struck a chord in me. I prayed earnestly that this would be the answer to help me get on track as I also struggled with doubts and fears of failure. After listening to this podcast, I realize you are an answer to prayer. I can trust in you and your process because you have found your divine purpose and it is empowered by prayer and our great God. Your confidence will be my confidence as He recreates it in me. Bless you! Thank you, Tracy!!! We are so, so happy that you found STEP, and we TOTALLY understand the fear that sometimes comes along with such a change. This community is absolutely amazing, and we’re all here to support you! Thank you for sharing such beautiful thoughts with me. I have put a lot of prayer into this–wanting to do whatever I could to help others who struggle the way I did with all the “stuff.” You are totally in the right place, and there’s no rush! This is going to be a process, but each little step will take you into that clean, organized, peaceful direction. Thank you, thank you!!! So excited for you!